Only a short time after I had been in country with Delta Troop, 3/4 Air Cavalry, I was asked to become a team member of a reactionary/recovery squad. Although I don't know for certain if "reactionary/recovery" is the proper name that was used, but it does describe, somewhat, the mission. 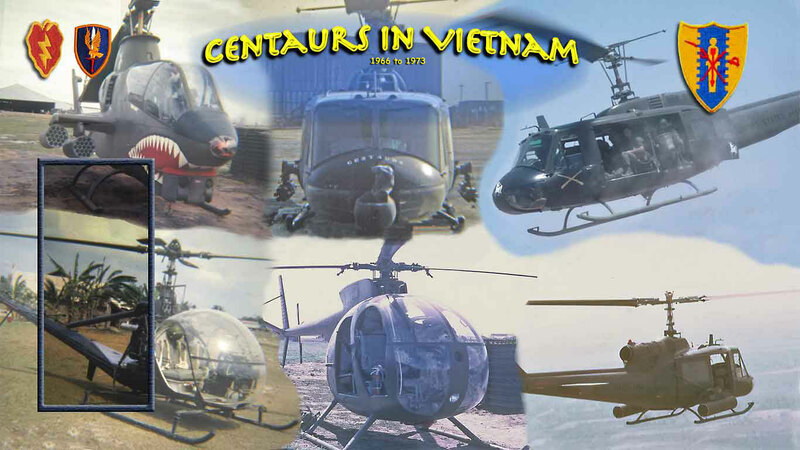 It had become the SOP of our unit to perform many of the "rescues" of our troop's aircraft, especially those that were downed from mechanical failures that could be quickly repaired and flown out to safe areas for better, more permanent repairs. Enemy engagements also brought about flight failure. Sometimes in enemy infested areas, maintenance crews were flown to the sites to make repairs so that the helicopters could be flown out. One good thing about the helicopter is that it has the ability to autorotate down to somewhat of a safe landing without the power of an engine driving its rotating wing. Altitude and the quick action of well trained, experienced pilots and crew could make a landing area out of practically nothing. If altitude wasn’t present, in most cases the landing would be rather abrupt. Damage and injury would be certain, and recovery of injured crewmembers would be a priority. Our smaller aero-scout, "loach" aircraft, we could sling load under our UH-1, "slicks" and do our own recoveries, but when our larger aircraft, such as the UH-1H, or the Cobra gunship came down, about all we could do would be the performance of minor, quick maintenance, getting it airborne again under its own power, or else call in a recovery helicopter unit that had the large, "Chinooks". It was in June/July of '69 when I was used for the first time to work on an aircraft that was down in the, "boonies". I can't remember if Captain "twinkle-toes" Dixon was the maintenance officer still yet, or if he had rotated home already? (twinkle-toes was a nickname that many of the Officers and EM used to refer to the little rock upon his toes he used with each step) But, for sure, Captain Mack was the officer who I recall as getting us to and from the "downed" aircraft. A cobra that was flown by Mr. Bobo. They were down not to far from the base of the famous, "black virgin mountain", in somewhat an open area. There had been a failure of the 42 degree gearbox located at the base of the vertical fin, and with the right tools, a couple of aircraft mechanics, spare part and a few long, "eternal" moments, we could have the cobra flying "before sundown". Sp/4 Richard Waite, and I were, "volunteered", and away we went. The flight up from Cu Chi was great, and as we flew onto location, we noted some perimeter defenses had been set up for our protection and the downed aircraft protection. By perimeter defenses is best described as a couple of squads of infantrymen encircling the downed aircraft, and keeping "charlie" from moving in to close to "snipe" at the aircraft or those working on it. Then, some of the infantrymen were making a sweep of the area just to reinforce those who were protecting us. All of this could be clearly seen from the air as we approached but when we landed, that was the last we saw of our, "defenses". For when we were on the ground, the sweep patrol seemed to be swept out of sight. Feverishly, Rick and I went to work removing access panels and taking bolts loose and hoping we would not drop and loose anything. At every moment I could feel the searching eye of an enemy sniper upon my being. Finally, after about an hour, we were ready for a test run-up and very ready to get out of there. We got the attention of a circling scout ship, and communicated to them that we were ready for the Cobra flight crew to return and fly the downed aircraft out of harms way. That burned more time off of the already dimming evening hours, but it wasn't before long that they returned, firing up the cobra, giving us the "thumbs up" and flying off. During those moments, other "slick" choppers started arriving and our security also started pulling out. None of these helicopters came close to the place where Rick and I were waiting with our tools and we began to get somewhat concerned. We were armed with M-16’s and plenty of ammo, but I believe it would have been a short battle. We just hunkered down and waited. After what seemed to be an eternity, (probably about five or ten minutes), we finally heard the buzzing sound of a scout ship and saw Captain Mack quickly land and motion us aboard. Phew! were we relieved. A red sunset was blazing in the west as we flew and it wasn't until we were safely heading toward Cu Chi that my heart rate began to slow down. However, the flight home was not without incident. Several times over the next few months, I got to practice the "art of recovery" a few more times. Delta Troop had an outstanding record as far as good mechanical operations on the choppers, and it was a rare thing for the choppers to fail mechanically. However, the enemy would hit a vunderble spot now and again and bring one down, especially one of our scouts. Since the majority of the areo-scouts work was much of the time flying at very low levels, buzzing back and forth along suspected enemy trails and bunkers, Charlie would occasional "bag" one. Somehow, regardless of how hard one might try so as to not become real close and personnel with flight crews, more times than not, you considered the pilots, crewchiefs and gunners of Delta troop as your brother, friend and ally and any loss was personnel. Many times we were successful in snatching a downed crew and aircraft out of the grasping reach of the enemy. And just as often, those doing the recovery were elated with joy and relief. But the strangest incident occurred about February of "70. I say about, because I can't narrow it down, but by mentioning the names of one of the scout ship's crew, someone might be able to tell me an exact date. Normally I flew on all test flights that came out of our hanger. A Warrant officer by the name of Tom Shirley usually shared that duty with me. This was his third tour of Vietnam, his second as a pilot. On this particular morning, we had a "slick" readied for test flight following a hundred hour P.E. Mr. Shirley, had gone to an early appointment to a dentist, so they gave me a new pilot to fly the test flight with me. He was a "new guy", in our unit, and did not know me, nor did I know him. To me, he just looked like any other soldier in OD green, and I guess I looked like any other to him. Especially, when you put on a flight helmet, and slide the tinted visor down covering the eyes. It was while we were on that test flight when we got the call to return ASAP. Being only a few miles out with the helicopter, we returned to the base and I was quickly briefed on the emergency. One of our scout ships had crashed and needed to be recovered. I told the new pilot about my duties regarding the expected recovery and ran into the maintenance hanger, grabbed the tools and recovery slings and loaded the items aboard the awaiting helicopter that we had just returned to base in. I was flying in the A/C seat and the new guy was at the controls on the right side, and we headed for a spot near the Cambodian/Vietnam boarder. It was there that the "loach" had lost a tail rotor blade to a tree, and the aircraft had spun to the ground. During the "hard, spin-in landing", Chester Stanley, one of the crewmembers aboard had been thrown from the aircraft and was injured. Chester at one time had been one of my mainteance crew members before becoming one of the elite "scout" crew chiefs for our unit. A team member cobra gunship was still flying large circles above the downed scout ship to give downed crew protection when we arrived, but had to leave station and return to base soon after because of running low on fuel. What we needed to do was simple. We land, I grab the sling, a couple of tools, run over to the crumpled scout ship, pull the rotor blades, and attacth the slinging device. Next I would position myself high enough for the "Slick" to hover directly above me, and once I had slipped the eye of the sling over the cargo hook of the hovering helicopter, I would pull myself into the recovery helicopter and we would be on our way. As we came in for a landing, we could see the downed helicopter in edge of the bush and the crew members of the aircraft huddled around a prone body at the edge of a nearby clearing. The downed pilot flagged us safely in for a landing among the trees. I vacated the pilots seat I had occupied on the trip out, grabbed the recovery sling and the essential tools, and headed for the downed aircraft. Since it was back in the bush a ways, it did not take long for the foliage to swallow me up. While I was headed to do what I needed to do, the downed crewmembers loaded the injured crewman aboard, and the other pilot from the downed aircraft climbed into the left side pilot seat, which I had just vacated. I heard the Huey pulling in pitch, so I climbed deeper into the underbrush and all vision was lost of me. Then, to my sickening surprise, as they pulled pitch, they turned away from me and flew off. I thought surely that someone would notice there should be five aboard, but I guess that there was such relief in the thoughts of the rescued crew and concern for the injured crewmember, that no one noticed I was not aboard. After all, put a helmet on, the familiar OD green on, we all looked about the same, especially to a new guy not familiar with any of us. Since the cobra had flown off of station, and the "loach" had not been shot down, recovery of the downed aircraft took second precedent over the injured crewmember. Nevertheless, I was terrified. In fact, terrified is to small of a word to really describe how I felt, because the only thing I had removed off of that aircraft before it had left, was the recovery sling, and a couple of tools. My M-16 and all ammo was aboard. I did have a knife, but somehow I didn't feel confident in my abilities to survive very long with only that, although in reality, I would probably last about as long with a knife as I would with a rifle. The clock seemed to stop, yet it was my heart that beat faster. I begin to look around for some place to hide, and hope that soon someone would add things up, and come back. I just knew that by a short time, I would either be dead, or a prisoner. Off in the distance I heard the rattle of a short firefight. I thought of the worse. I knew that the enemy was coming to have a peek at this downed aircraft. It wasn't going to be flyable, but they might want to rob it of some of its gear. When the downed crew had been picked up, they had loaded their machine guns aboard along with the injured crewmember, so there was no danger of "Charlie" getting any arms, but things such as radios, they would steal. Probably thirty minutes later I heard the rumble of a tracked vehicle squeaking towards me. All I could imagine was NVA tracked vehicle coming after the downed aircraft. Since there was a quite a bit of foliage in the area, and the approach of this vehicle was from Cambodian boarder side, I could not determine if it was friend or foe. Certainly I wasn't feeling very positive about my situation, so I figured that it was foe. Moments later, in a distance, I heard the tracked vehicle(s) pull up, and then as the moments ticked by, I heard the approach of humans by foot tromping toward my hiding area and the downed aircraft. All life simply drained from me. I knew I would never see my beautiful bride back home ever again. How would my mother take my disappearance. In fact, I just wondered if the enemy would keep me alive, or just kill me and my body would never be identified. I felt totally whipped. Then, all at once, I thought I heard English being spoken. Then, again from another point. GREAT! I headed out of my hiding place. Scrambling with relief, I moved hastely toward the voices, elated about having someone who was "friend" being so close to me. About that same time, instantly all of my elation vanished, because all the bullets in the world begin to zing in and impact all around me. I realized what a stupid move I had made. The English speaking soldiers were firing at me, not knowing what the noise they heard coming from within the bush meant. They didn’t know if I was friend or foe. I hugged the ground, and finally when somewhat of a calm had taken back over, I yelled out. "Hey! I'm An American!" After a short silence, I heard a voice yell back to me! ""Aright, come on out, and boy, you'd better be American." I did, and the next statement I heard was, "What, and Who (blank-a-dee, blank-a-dee, blank) are you...doing here!! To this day, I can't remember what "tank" unit these boys were from, but there commander was a red headed 1st LT. If he is a 3/4 Cav.. guy, I sure would like to shake his hand and buy him a steak dinner somewhere. To end this nightmare, around noon we hear a chopper beating the air coming toward us. When it made its flare, I could see a familiar face, Tom Shirley at the controls, and all by himself. It seemed that he asked a few questions, put two and two together, took all the little things that was slipping through the cracks, and started making corrections. We got the "tankers" to slip the eye of the recovery sling into the eye of our cargo hook, and flew back to Cu Chi base camp.. What a beautiful sight! Delta Troop got their downed aircraft back, I got back, and no one ever knew the difference..... All blunders were covered, which was something that seldom happened, and everything was intact except for the hair on my neck, which stood for years. After I was separated from the army, I looked up Tom Shirley and stay in some type of contact to this day. We are forever friends. One thing for sure, I learned a lesson! Today, whatever I do, I like to size up the situation, and let all know who are involved, what I am going to do. I don’t like the idea of being left alone. This is a true story, no names have been changed, and I am sorry for the lack of memory on some of the others in this incident. Regardless, I am very proud of the unit I served with, and its people.